The 2018 midterm elections changed the political landscape in the U.S. KALW covered the statewide and Bay Area developments with the help of participants in its training programs. After NPR started broadcasting from Washington, DC and around the country, KALW’s Your Call staff carried two hours of coverage, and then our news department, with a team of 15 people working together, covered the returns coming in from inside our studio and around the Bay with help from announcer/board operator Debi Kennedy. Our Audio Academy graduates and current fellows had a lot to do with what we brought to the airwaves. 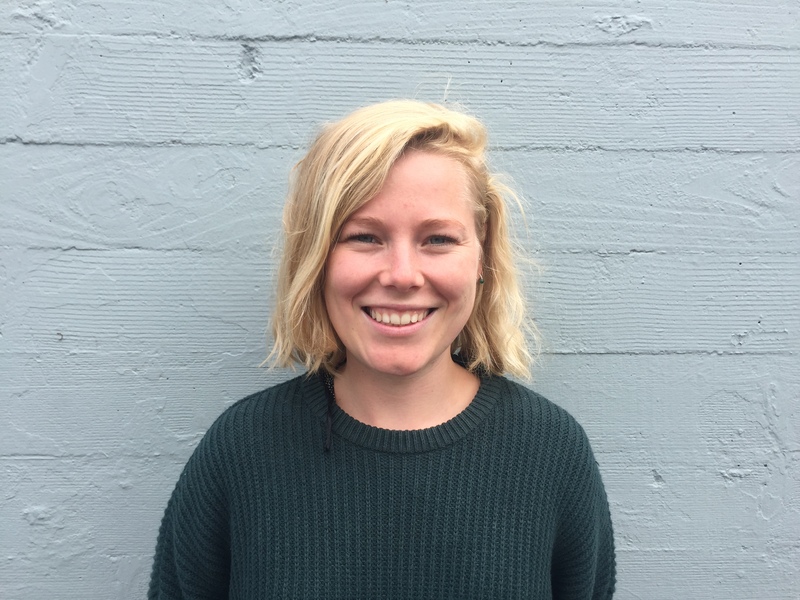 Angela Johnston (’14), KALW’s new deputy news director, served as elections coordinator. Liza Veale (’15), our housing reporter, discussed Prop 10 on location in Oakland. Lisa Wang (’19) and Pria Mahadevan (’19) kept track of results during our live studio broadcast, and JoAnn Deluna (’19) helped out in the field along with summer interns Mary Franklin Harvin and Selene Ross. On Tuesday November 6, I experienced my first American election. 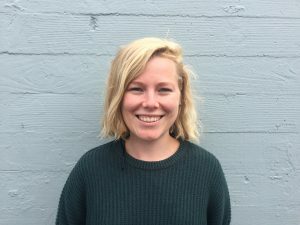 KALW Danish intern Sara Nora Koust. Ever since I learned to understand English, I watched the American elections on TV while eating popcorn with my dad. Despite being only 10 years old, I still remember when George W. Bush was elected as the 43rd President of the United States. I remember the joy my friends and I expressed in the hallway of my boarding school when Barack Obama won with the words “Yes, we can!” in 2008. And I remember the weird silence at my university when Donald Trump was elected two years ago. But why are these elections so important to us foreigners? Because politics is not just about politicians showing off in fancy suits — it’s people’s desire to change something in society. A possibility to make a difference for the better (or worse). And as one of the most powerful countries, the United States has a huge impact on the world: economically, politically, environmentally, and so on. These politicians affect my home. This year, I got a whole new perspective on American elections. A much more local one. As an intern at KALW, I was going to cover local politics in the vibrant, progressive Bay Area. This year, the Bay Area is my home. I went to Impact Hub, Oakland with KALW’s education reporter Lee Romney to cover the race between Tony K. Thurmond and Marshall Tuck who were competing to be State Superintendent of Public Instruction. The race has been one of the most expensive in recent history, with $50 million in spending. Tuck hosted his election watch party in Los Angeles, but Thurmond’s was right here in Oakland! As I talk to supporters of Thurmond, I quickly realized that the theme of the night among Thurmond’s supporters was the importance of education for all. It’s something I can relate to since education at all levels is free, available, and in good quality where I come from. Thurmond himself called the night “a referendum on public education” as he spoke to the crowd carrying signs with his name on them. As I looked around, only a few people were nipping at the the salami, guacamole, and crackers that were nicely served at the tables. Tuck was leading in the polls. But at the same time there was hope in most of the supporters’ eyes. The race was extremely tight during the night, with only a few percentage points separating the candidates. In the corner next to me stood Richmond City Councilman Jael Myrick. He’d followed Thurmond’s career and campaign closely for years. As he looked at the big screen, showing the general election results, he spoke with optimism in his voice. But he also realized the race could go both ways. As the time got closer to 1am, and only a bit more than 30% of the votes had been counted, it was time for my to find the BART station. Even though I wanted to stay longer, my feet, brain and heavy eyelids told me otherwise. Tuck had 50.7% of the vote. Thurmond had 49.3%. I woke up early the following day and wondered: What do I take away from my first American election in the Bay Area? First of all, that local politics matters in all communities. And second, that every vote counts. This race is clear proof of that. Back in Denmark, we see voting as a mandatory duty. If you don’t vote, you’re not allowed to complain. This can sound very harsh, because there can be valid reasons why some people don’t go to the polls. But if you have the resources, and citizenship, I encourage everyone to vote in future elections, national and local. It’s your chance to have a impact on your future. And, for that matter, maybe on the entire world!